Sharp across the frame from f/2, excellent by f/5.6. Status: Used a lot by Phillip then sold to fund the FE 4/16-35. Owned and sold by Jannik. 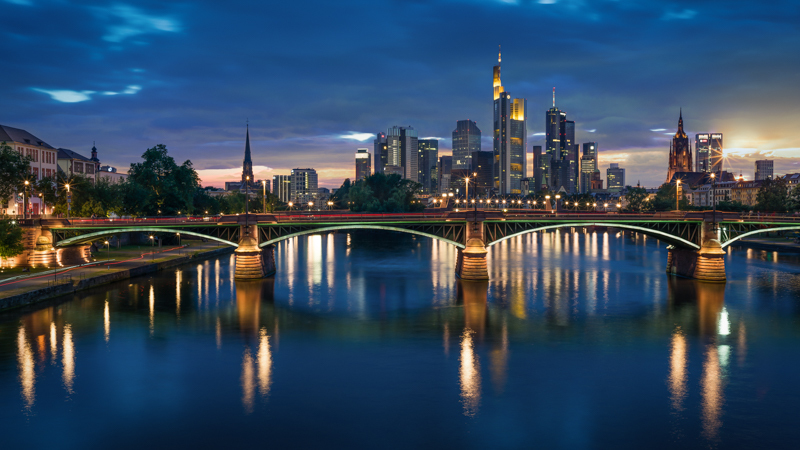 Jannik: A cheap and capable wide angle option. Contrast, flare resistance and wide open performance are not up to modern standards but at typical landscape settings, this lens delivers. Some mustache distortion and average to bad flare resistance. All in all a capable landscape lens with some limitations for a decent price. Status: Reviewed and bought by Jannik and still used a lot. Also bought by Bastian and in use very often. 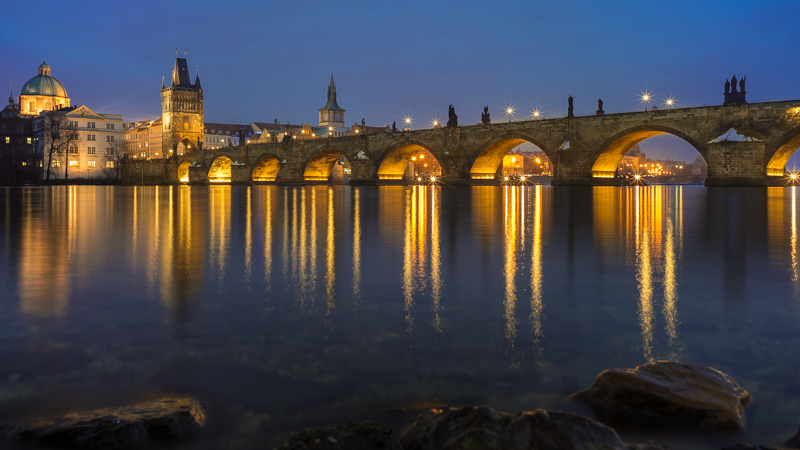 Jannik: My favorite landscape lens. It combines all the strengths that I look for in such a lens and inspires me to go out in the dark due to it’s amazing sun stars. Bastian: a lens almost without flaws, as Jannik has written everything important above and below I will only add that I also love that in can be used with the smaller 67-75mm square filter systems. Noticeable vignetting , smooth bokeh, low coma and sharp corners at f/2.8. The center is very sharp. Very good performance across the frame at all apertures. Sharpness peaks at f/5.6. Amazing sun stars. Very small and light, especially compared to the Z-series DSLR sibling. Excellent build quality. One of if not the most capable landscape wideangle lens which comes at a steep but reasonable price. Status: Reviewed by Phillip who still uses it occasionally. Owned and sold by Jannik. 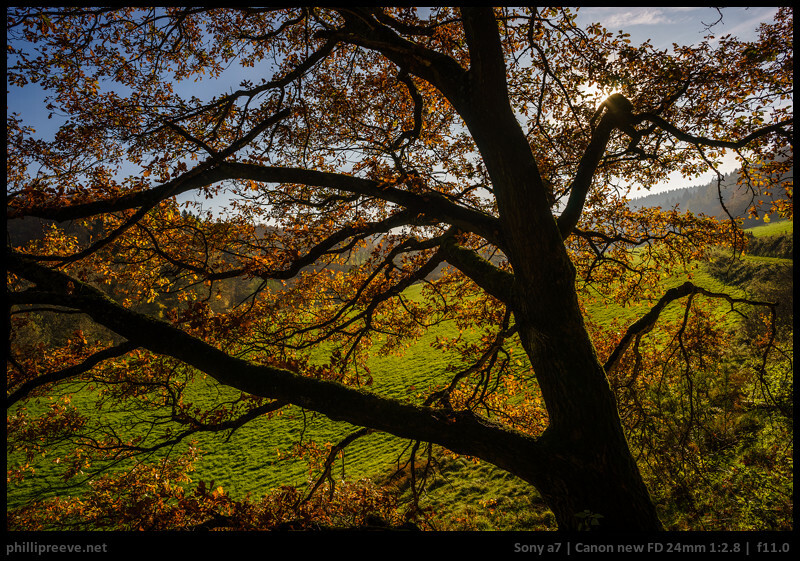 Jannik: My favorite FD wide angle lens. Flare resistance and wide open performance are not up to modern standards but it was surprisingly contrasty and sharp stopped down. I prefered it over the 2.8/20 and the 2.8/28. Very good performance across the frame at f/8 and f/11. Only the mustache distortion and average flare resistance can be an issue. All in all a very capable and very affordable landscape lens with some limitations. Status: Phillip bought his own copy, reviewed it and then returned it because of the underwhelming performance and high price. At f/4 the center is excellent to about 65 mm where you should stop don to f/5.6 for very good sharpness. For best corner sharpness stop down to f/8 where you can expect decent results from 28-60mm, above it is a bit softer and at 24mm it is very soft in the corners. Pronounced distortion at the ends, average vignetting. Optically this is the weakest lens of Sony’s lineup, it is stille quite handy because of the wide focal range and good at some things. The recommended price is a bad joke but you can often get it much cheaper an then it can offer decent value for money. Status: We haven’t used it yet. The following is based on other photographers reviews. At f/2.8 the center is excellent (a little less so at 70mm) at any aperture and until 50mm. This can be said about the mid-frame area as well. Until 50mm the corners are very sharp from f/2.8 but you still gain some sharpness as you stop down. Moderate to strong distortion at the ends, strong vignetting and average flare resistance. Really smooth bokeh, especially for a standard zoom. This is a very large and heavy lens. The price is quite high but so is the performance. After the disappointing FE 4/24-70 the excellent performance of the GM 2.8/24-70 was a bit of a surprise. It performs on a very high level and if you are willing to carry such a heavy lens and pay the price you most likely won’t regret the purchase. Sharpness in the center is excellent at 24mm from f/3.5 and decreases as you zoom in, at 200mm it is not that good. 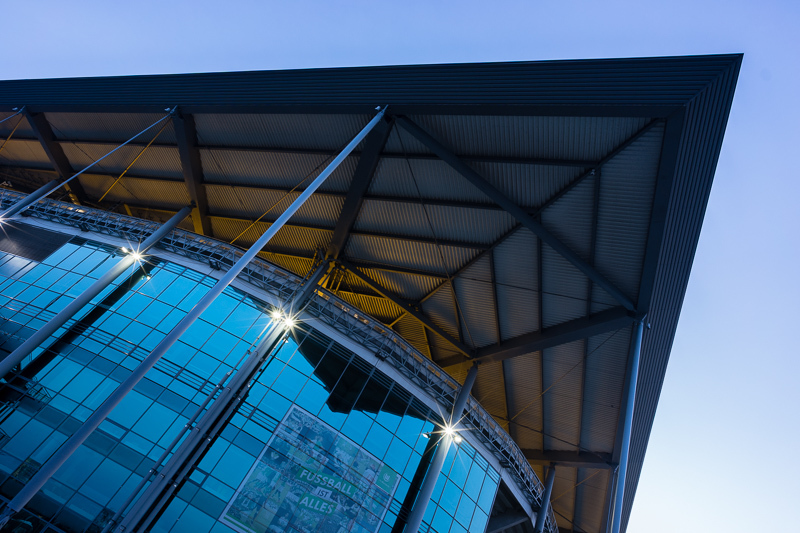 Corners are not too sharp at 24mm and especially at 240mm, they are quite decent in between the extremes. At nearly 800 g and with a length of nearly 12 cm it is one of Sony’s largest lenses. The price is really high for the very average performance. Personally I would prefer to carry a bridge camera like the Sony RX-10 or Panasonic’s FZ1000 over this lens if I wanted a one lens solution – for less money, half the weight and sharper edges. If you value the image quality of your fullframe sensor though, and won’t use the extreme focus settings a lot, it might be a good solution. f/2: It is sharp across the frame which is quite an achievement but contrast is a bit lower and there is some spherical aberration and significant axial CA. Bokeh decent and vignetting very obvious. For very good coma correction one should stop down to f/2.8. f/8: Excellent performance across the frame. Rather lightweight but more volume than expected and very large diameter. Excellent flare resistance, fuzzy sunstars and not much and not complex distortion. True focal length is closer to 23mm. This lens performs on a very high level, only the Loxia 2.8/21 is a tad sharper but of course it is wider and not as fast. For this premium performance you pay a premium price and I think the FE 2/28 is often a good alternative. 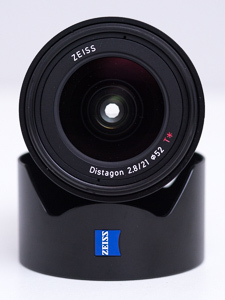 Status: Reviewed and used a lot by Bastian then sold to fund the Zeiss Loxia 35mm 2.0. At f/2.0 the center of the image is very sharp, midframe is decent, corners suffer from huge field curvature because of the thick filter stack in front of the sensor. Still very useful in case the corners are not in the desired plane of focus anyway. Very contrasty already wide open. 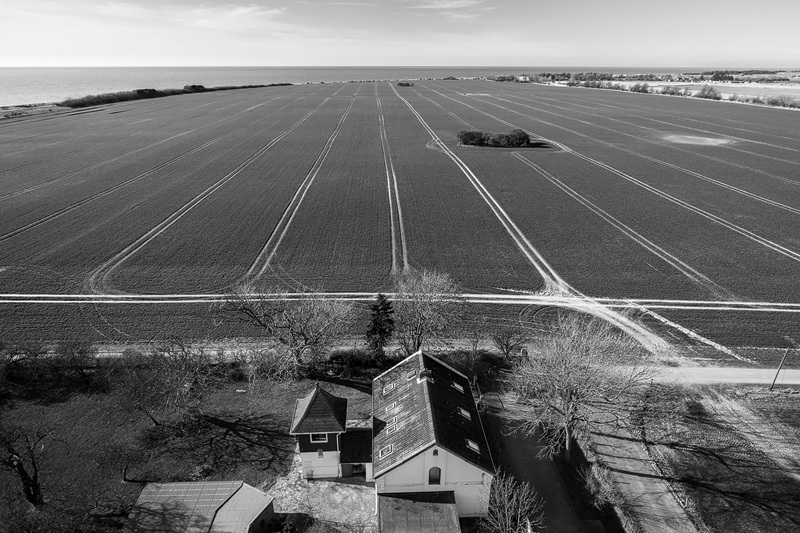 You have to use f/8 to f/11 to conquer the field curvature but even on the A7rII the corners are looking good then. Not that much distortion, quite good flare resistance, beautiful 10-stroke sunstars. Very small and lightweight. When bought used good price/performance ratio but faces strong competition from Sony’s FE 2.0/28. Capable allround 28mm. Stopped down very good for landscapes (especially the ones with point light sources), wide open nice bokeh. Status: Phillip bought it at the release and still uses it regularly. the high amount of axial CA can be annoying. For best corner sharpness it needs to be stopped down to f/8 but then it delivers. Vignetting is high, flare resistance very good and distortion must be corrected in post for many images because it is very strong. All in all a small lens with a very good performance which is quite versatile because of it’s speed. 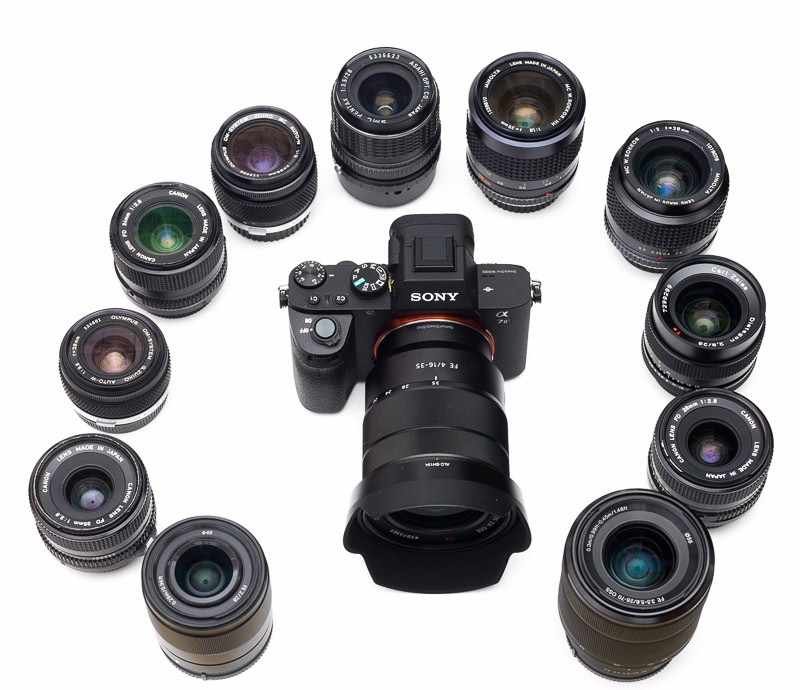 The best price/performance ratio of all native Sony lenses. Status: Owned by Phillip for some time who doesn’t use it very often. Good image quality across most of the frame at f/2.8 with significant vignetting and busy bokeh. 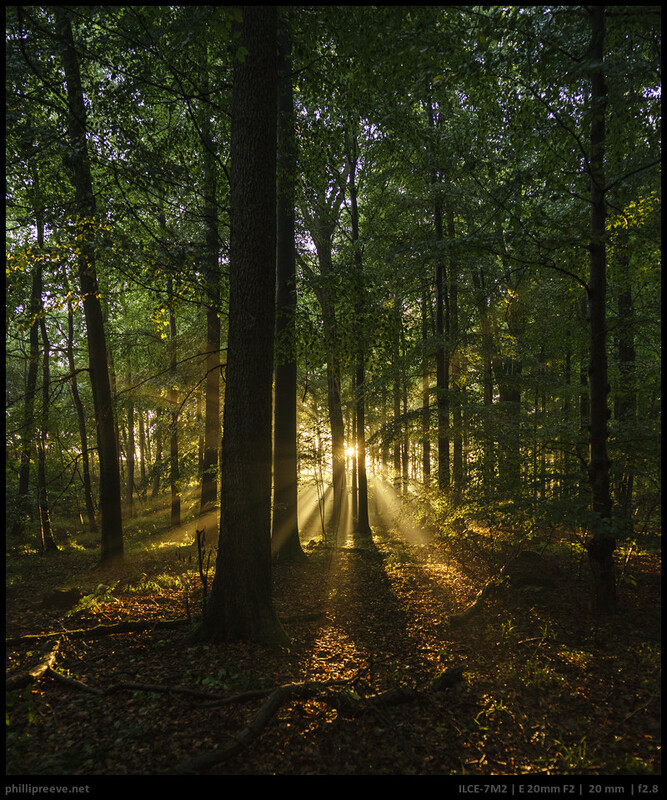 Good flare resistance, average vignetting and moderate distortion. Build quality is great, size and weight average. The price performance ratio is decent. An enjoyable lens which’s strength is landscape photography. Only the soft extreme corners are a bit annoying. Status: Owned by Jannik for some time but sold in favor of the RX1RII. Build quality is great, but it is long and heavy. Strong field curvature (bent inwards), that results in great plasticity and an even lower depth of field towards the corners than you would expect in an f/2.0 lens. The field curvature can be tricky for landscape shots, careful focusing is important. An unconventional lens, but one of the best for wide angle shots at close distance with high subject isolation. the frame sharpness stop down to f/8. Excellent flare resistance for a lens of it’s age, still good today. 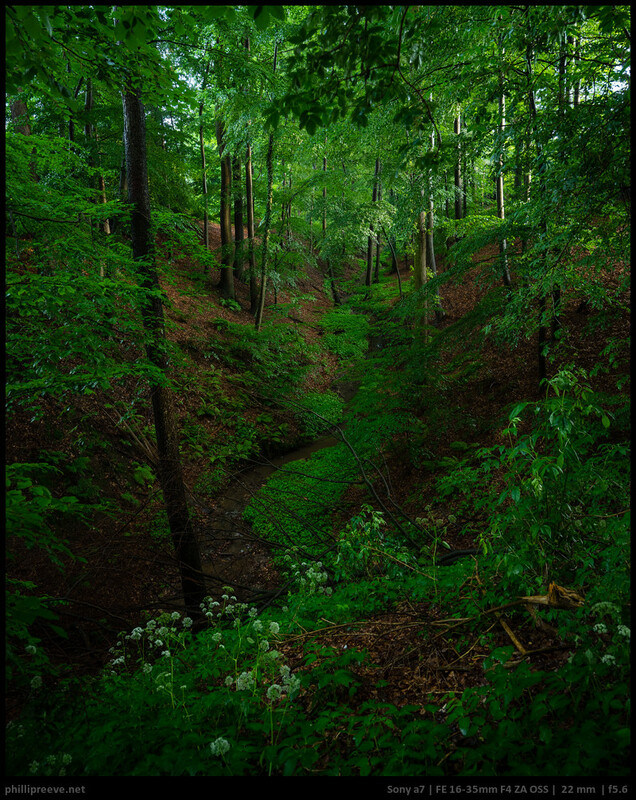 Vignetting and distortion are average for a 28mm lens. Excellent build quality, average size and weight. The price performance ratio is very good – if you can find one, it is quite rare. The lens is my favorite manual wide angle lens, especially for landscapes because it doesn’t have any real weakness and simply delivers for a small price. Status: Owned by Phillip for a shorter time. Owned and sold after one year by Jannik. Jannik: The center performance was convenient but I never liked the corners. The colors seemed to be a bit dull compared to most of the other lenses in this list. It’s was a solid lens for documentation work but I wouldn’t recommend it for serious landscape photography. Sharp in the center from wide open at any aperture but slightly less so at 70mm. The corners are borderline sharp from wide open and don’t improve much at smaller apertures. Strong distortion, good flare resistance and not that good bokeh. Build quality is average: It is made from plastic with a rubberized focusing ring. Solid enough but far from exiting. I can’t recommend to buy it for the nearly $500 it costs new but it is much more affordable used or in a kit with a Sony Alpha 7 series camera and well worth the $250-$300 you usually pay here. It certainly doesn’t set any records but the performance is solid enough and in light of the very handy focal range and the low price I can recommend it. At f/1.7 the center of the image is very sharp, midframe is decent, corners suffer from strong field curvature because which is a result of Sony’s thick filter stack in front of the sensor. If you focus on the corners they are quite good from f/1.7. Bokeh is excellent, especially for a 35mm lens. You have to use f/8 and focus on the midframe area but then you get very good across the frame sharpness. Strong vignetting, very little distortion, good flare resistance, beautiful 10-stroke sunstars. Quite small and light. Price performance ratio is good in Europe and bad in the US so it makes sense to import it from Europe. My favorite 35mm lens. Exceptional bokeh wide open combined with very good sharpness plus a small size make and the speed make it a very universal lens. If I was limited to just one lens this would probably be it. Status: Reviewed by Bastian, who has missed it so much after having to sent it back to Zeiss, he bought one and now uses it very often. At f/2.0 the center as well as midframe region is very sharp, corners suffer from field curvature. Very bad coma wide open (already improves a lot at f/2.8), bokeh a little nervous at most distances. Very contrasty already wide open. You have to use f/8 to f/11 for best across frame sharpness but even on the A7rII the corners are looking at least very good then. Almost no distortion, quite good flare resistance, beautiful 10-stroke sunstars. Very small and lightweight but also very expensive. Not the best corner sharpess wide open, not the most beautiful bokeh and very bad coma wide open, but excels at architecture and especially nightly cityscapes when stopped down. Status: Owned by Phillip for a few months who uses it occasionally. Owned and sold by Jannik. Jannik: I’d recommend this lens for every budget landscaping kit. Amazing sharpness across the frame that comes at a great price. At f/2.8 most of the image is sharp, vignetting is not really an issue, bokeh is decent and coma is not much of an problem so this aperture is fully usable. All in all a very capable lens for a great price. Highly recommended. Status: Reviewed by Bastian and sold very soon after that. At f/2.8 the center looks good but already the midframe suffers from tremendous field curvature. Very bad coma and color cast issues towards the corners. Bokeh a little nervous at most distances. Not very contrasty at any aperture. Even stopped down to f/11 the corners leave something to be desired (when focused at the center). Very bad flare resistance, quite some pincushion distortion, interesting 5-stroke sunstars. Very very small, lightweight and cheap. Only recommendable for film cameras or in case you want the smallest 35mm availabe and can overcome all of the many shortcomings. Status: Phillip bought and reviewed it but then didn’t keep it because it was too expensive to him and he prefers manual lenses. Excellent sharpness in the center from f/2.8 with quite good corners and decent bokeh. Doesn’t improve much when stopped down. Corners are sharp but the Canon FD 2.8/35 for example is sharper in the corners at f/8. 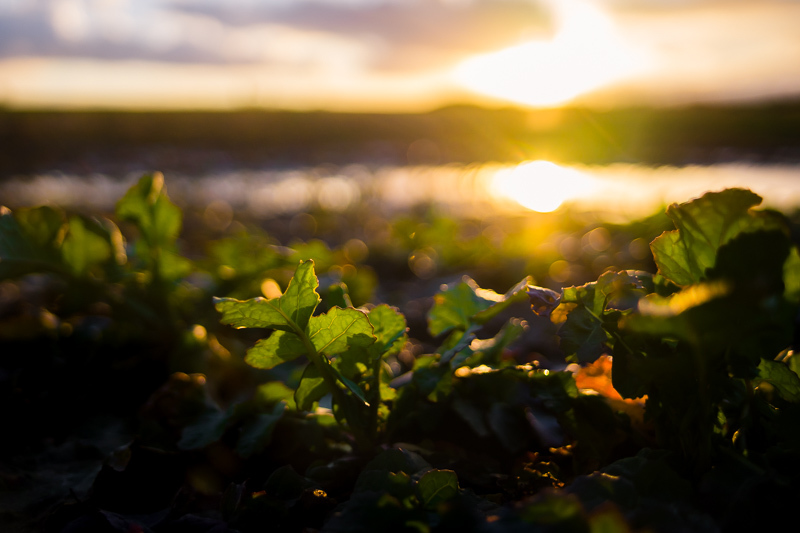 Vignetting is high, flare resistance not that great and distortion moderate. It weights almost nothing and is very small. I think the recommended price is very high and only justified if size is essential to you. The main argument for this lens is the size. Image quality is good but not $800 good. Status: Owned and sold by Jannik, who needed a smaller 35mm option but liked this lens. At f/1.4, the center is very good and the midframe is good. Even the corners show decent sharpness. Bokeh is very creamy wide open. The lens shows some axial CA and significant vignetting wide open. Quite contrasty at f/1.4. Slightly stopped down, the center gets tack sharp and the corners improve. Contrast gets a slight boost. At typical landscape settings, the center is excellent and the corners are very good. The midzone desn’t reach these levels. 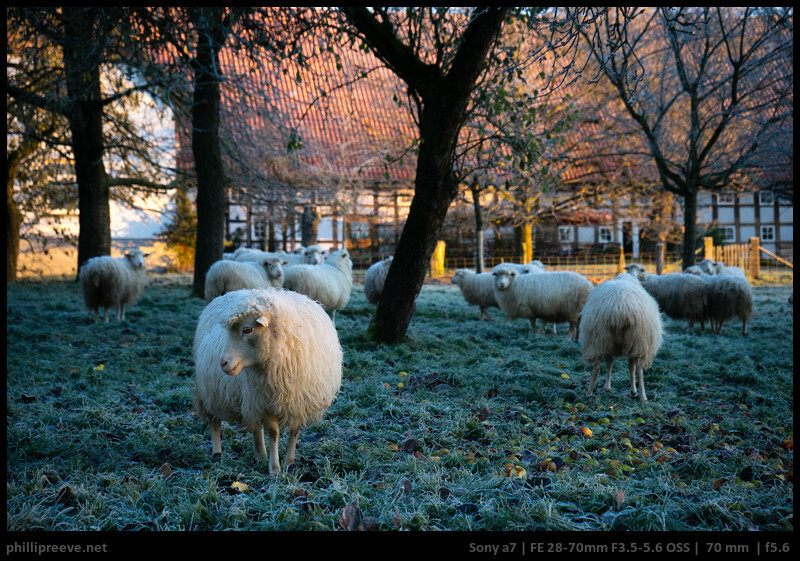 In a shootout with the Vario-Sonnar 3.4/35-70, the latter one had the better midframe region at 35mm and f/8. Moderate barrel distortion distortion, good flare resistance, average sun stars due to 9 rounded aperture blades ( they have a nice shape but are not as defined as the Loxia sun stars). Very large and very expensive. We’d recommend it if you shoot wide open very often. 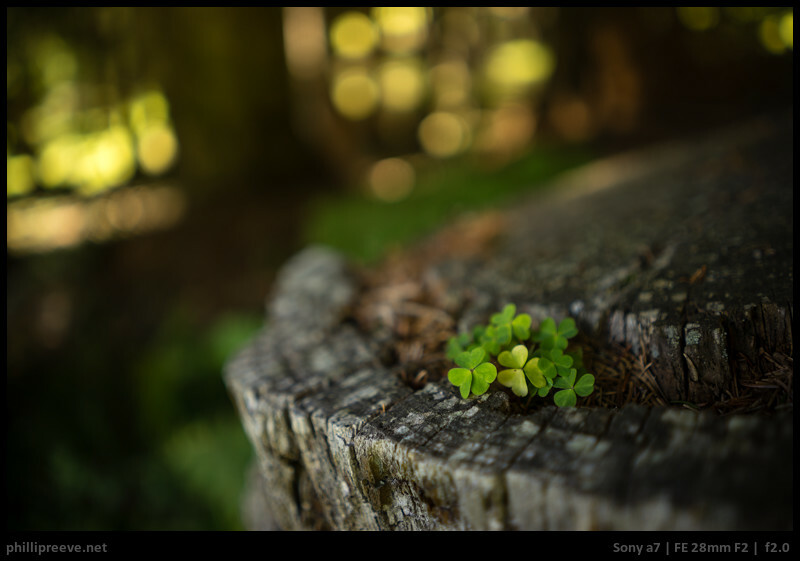 At large apertures, it is unmatched in the FE system, the rendering and the bokeh are pretty close to the RX1(RII). All of us have used many lenses and we all have bought and sold some of them for whatever reason. Nevertheless there are a few lenses that simply stick, so we decided to let each of us pick one of the aforementioned lenses and tell you why we keep using it. This is one of the lenses that doesn’t fare to well in reviews (not even in my own) but still found it’s place in my bag as it hits the right boxes for what I am doing. I mainly use 35mm for landscape and architecture and I value nice sunstars, contrast, clarity and small size as well as filter diameter and size more than bokeh, coma and edge sharpness wide open. It simply is the right tool for the job. If first thought about nominating the Voigtlander 1.7/35 because it packs a lot of punch in such a small hull or the Pentax K 3.5/28 because it offers great bang for the buck but I ended nominating the FE 4/16-35 instead. It doesn’t excel at anything like the Zeiss primes do but it’s performance isn’t far away from the very best lenses and it is so versatile that I usually take it when I don’t know a location very well and many of my best images were taken with it and in the end results matter. Although there is the price-performance champion Canon nFD 2.8/35 and a versatile and well performing 4/16-35, my choice was pretty easy here. The Loxia 2.8/21 is one of the most important lenses in my bag and it’s not only without major flaws – it has (currently) unique strengths and adds a signature look to my images. We have reviewed many lenses but there are far more lenses we haven’t reviewed yet and we prefer to know what we are talking about. So with time the list will grow but have some patience with us :). Space. This article is already over 3000 words long and we didn’t want it to become too long. There will be an article about super-wide-angle lenses soon. We decided to split the article because of reason No. 2. Although Samyang offers a few full frame lenses with E-mount, these are just really big SLR lenses with a permanent adapter and we don’t count those as native E-mount lenses. Samyang also has some real issues with quality control and longevity of their lenses. Using one of our affiliate links if you buy a lens. It also helps a lot if you share the article on social media and with your friends. This was a great roundup and very helpful. I’ve been reading your reviews for quite some time now, and I really like your straight forward approach to reviews, and have learned a lot from reading them. I was curious if you planned to continue to expand on this article and include any of the following lenses. We will publish a super-wideangle lenses article rather soon, it will cover lenses 1-3 and 6 in your list and a few others. 4. is already in this list and the others are not too likely to appear soon since we are always a bit sceptic of Samyang lenses because of their bad quality control. Thanks. I know the Samyangs get a bad rap for quality control, but was still hoping you’d include them – maybe some kind of discloser about quality with the review would help. FYI, my experience: Three Samyang/Rokinons (one “new-other” EOS-M 50mm f.1.2, unmounted… two 12mm f.2.0’s used for under 50 shots each, in all probability) — two arrived with defectively tight and binding focus rings (effectively unusable); one O.K. and I think it is a shame you don’t test them with the poor excuse ” Although Samyang offers a few full frame lenses with E-mount, these are just really big SLR lenses with a permanent adapter and we don’t count those as native E-mount lenses. Samyang also has some real issues with quality control and longevity of their lenses.” but you will test Canon lenses like “Canon 20/2.8 305g + adapter | $160 |” or “Pentax K 3.5/28” “Voigtlander 1.7/35 VM” and other lenses who are “these are just really big SLR lenses “. and we can talk about quality control of each company starting from Zeiss and Sony lenses. if you don’t like Samyang that’s FINE! but do not make poor excuses and just say that. for now you just ignore Samyang but it is coming from you not because something that Samyang do or did. I’m not getting anything from Samyang I’m just a photographer like you that work and enjoy Samyang lenses just as much as I enjoy this site. but I can’t take the site seriously. 1. If you want to take part in the discussion here you will need to show some respect in the future or we will block your comments. Criticism ist great, but please make it about the subject and not the person. 2. 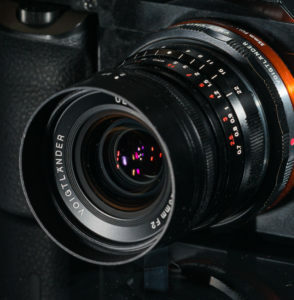 The Voigtlander 1.7/35 isn’t an SLR lens and the other two lenses are much smaller than any of the SLR-Samyang lenses. 3. Sony has issues with centering quality, that’s true and we have written about that in the past. But their issues aren’t as significant as those you have with Samyang lenses and Bastian with his 4 out of 5 bad 2.8/14 lenses is just one example for that. 4. We don’t ignore Samyang, we have a review of the 2/135 (not 1.8 as you write), I have written about the 1.4/85 in the past and we have an upcoming review of the FE 1.4/50 and the 2.8/14 will be covered in our super-wideangle lens article. This page is mostly a hobby-project and we don’t run any adverts on this page so we stick to the lenses which we find interesting and we think neither the 1.4/24 nor the 1.4/35 is interesting to us for the reasons we have already given. That’s just us though and if you like the lenses and can use them for your photography great. We blocked another message by this user and we will block all further messages by him because we don’t see any sense in wasting our time arguing with someone who is unable or unwilling to discuss things in a civil manner. Awesome post! Many thanks! How come no minoltas and no samyangs? I heard the 35mm is quite good (I have the 14mm). The Minolta 2.8/35 and 1.8/35 could have been in the list, the 2.8 is a very good and affordable performer and the 1.8 a nice character lens. Maybe I will add them later but we had to start somewhere and this article is already quite long. Another lens which could have been included is the MD 2/28 but I haven’t gotten my hands on one yet but I am pretty sure that it is a very good performer. Good luck finding the MD28/2 (I’ve been trying for a while…). A head-to-head shootout of the MD35/2.8 and the nFD35/2.8 would be interesting too. If you want a Minolta MD35/1.8 (“MDII”, the small 2nd version) for a comparison, just say the word. I second that shootout request, Jan. I have a clean example of the Minolta with a one previous owner history. Unlike myself, that fellow did not care for the 35mm field of view on film, so he barely used it. 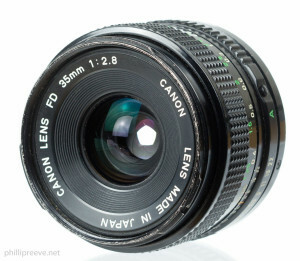 A Canon FDn 35mm f.2.8 came loaded with fungus, and I will not even have such lenses inside the main portion of the house. I can’t fairly test the Minolta at present, as I no longer have access, for now, to a full frame Sony body: just an A5000 and a Canon M3 in APS-C in anticipation of a Pentax K-1 purchase a bit down the road. Image examples at the artaphot.ch website in comparison with some from Sony’s FE 35mm f.2.8 prompted my interest. I don’t actually use 35mm much, I prefer 28mm and the FE28/2 is such an obvious choice (I already have a Pentax K28/3.5). I’m more interested in th 35/2.8s because I have a Minolta MD 35/1.8 (the small 2nd version with 49mm filter thread) that doesn’t get enough use to justify keeping it (it sells at quite hefty prices at the moment…) but I still want to have the focal length covered. 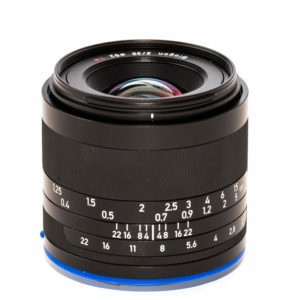 The MD35/1.8’s aperture ring jumps from f/1.8 right to f/2.8 (why do almost all Minolta lenses have this one big step before the typical 1/2 stops start???) and the MD35/2.8 is probably going to best the 1.8 from f/2.8 onwards. The nFD35/2.8 appears to be the best candidate to equal or best the MD35/1.8 so I’ll still try to find one, if only to check. I hope so, too, Bastian. That test would be very informative, I think. Thank you for the comparison! Why haven’t you include the Nikon 20/1.8G in this list? I remember Bastian has used one and it seems very handy in brightness, quality and size. We will include this in the upcoming 10mm to 20mm lenses article and will also move the Canon 20mm 2.8 there. Very interesting post. I own a Canon FD 20 f2.8 SSC and a Canon FD 17 f4, recently acquired, and I must say I’m really impressed with the performances of the 17, really sharp and almost vignetting free. 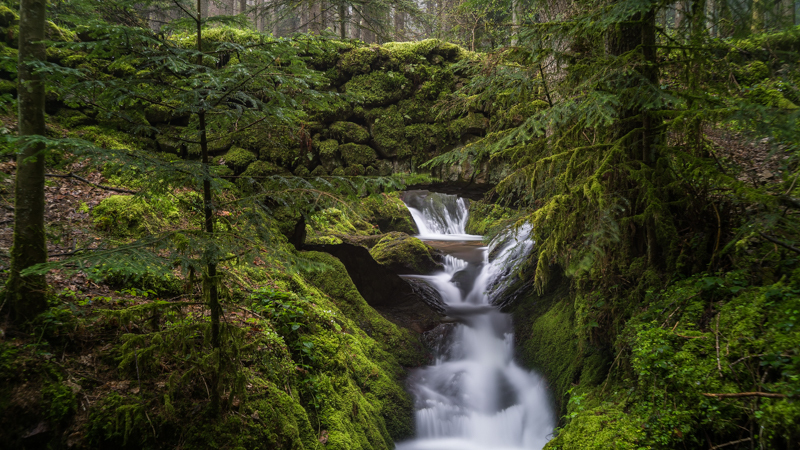 It works like a charm on the alpha and I find it very interesting for landscapes photography. Thanks a lot for your very useful site and articles. I read many good things about it but it is also huge. So huge, Phillip, that I have chosen to acquire and test the revised and current version of the Sigma 12-24mm full frame zoom in Nikon mount for adapting to Pentax. That lens can surely cover the bases in ultra-wide at a still fairly moderate girth and weight… and at about 35% of the cost new, here in the States, of Pentax’s iteration of Tamron’s design, if the Sigma is purchased grey market. I should also note that the true measured focal length of the Tamron at the wide end is closer to 16mm than to 15mm; so the comparison here is really apples vs. oranges, anyway. The extensive image gallery for the Sigma at their website really needs to be seen by anyone even thinking about the truly wide focal lengths on full frame: it definitely tipped me over the edge to considering circa 16mm just not wide enough, particularly with respect to making a picture where, in more conventional terms, there is not much of strong photographic interest. 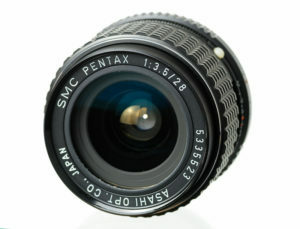 Unfortunately for me, Sigma dropped the Pentax mount when they introduced the major redesign of this lens. Therefore, some creative, though reversible modifications will be required, along with accepting some practical limitations in use. I will, of course, be following Bastian’s follow up testing of the Laowa 12mm with great interest. Loxia 21 on Sony is as good as the Leica SEM 21 on M.
Oh, and can be used on a 42MP sensor. Unlike the nice Loxia 35, the Loxia 21 is a modern state-of-the-art design, and a no-brainer if you can swallow the price. The Zeiss ZM 35mm f/1.4 distagon is a superb lens that’s always in my bag. Any chance of you reviewing it at some point? 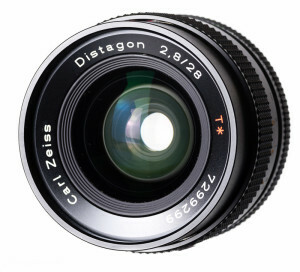 It would be interesting to see how it compares to the ZA 35/1.4 distagon. It’s much smaller than the ZA and can be used on any mirrorless system, so one’s not tied down to Sony. I use it on my A7r and A7s. Seems to be a great lens by anyting I have seen and read so far. A bit too expensive for me though and it has strong competition from the Voigtlander 1.7/35 M.
Furthermore (but the same applies to the CV 1.7/35) I have always mixed feelings when I know that a lens performs significantly better on a different sensor. Nevertheless, the 1.4/35 ZM is a very exciting lens. I wish, they would have made a Loxia lens out of it. This would have been spectacular. I have to second that. Was seriously considering the 35mm 1.4 ZM but as I would have to stop down the lens anyway I went for the Loxia 35mm 2.0. But if there is an E-mount version some day: count me in. So far people have asked why we didn’t include M-mount lenses, Samyang lenses, Sigma lenses, Canon lenses, Minolta lenses and a couple others. I think this shows that people look for differen things in lenses and we will never be able to cover anyones taste. I think as it is we have a pretty solid collection of lenses but you can be assured that it will grow and there is a good chance that we will also include Sigmas, the MC11 is pretty neat and Bastian already owns one. 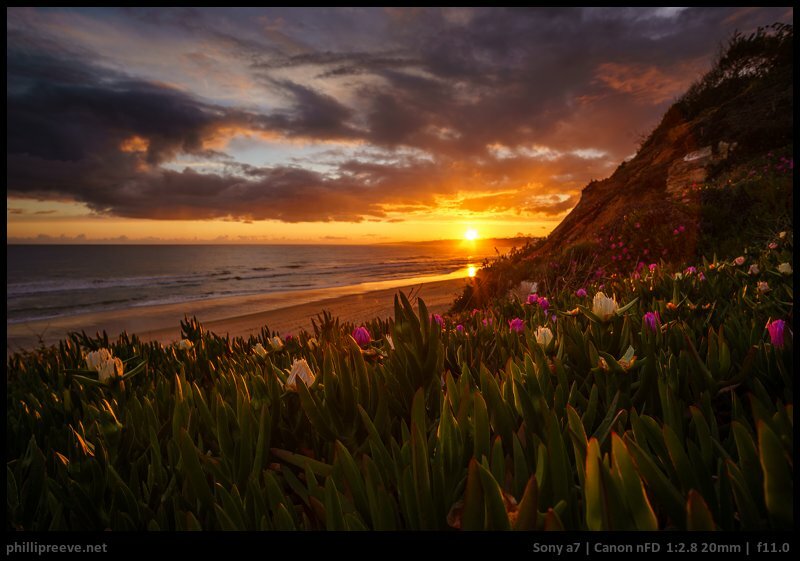 I have to recommend the EF 17-40 F4 “L”. ~$500, ~500g, fixed length when it zooms, sharp at all focal lengths and apertures. With the Mark II bodies and any AF adapter it focuses at native speeds, and with the MkI bodies AF is usable. 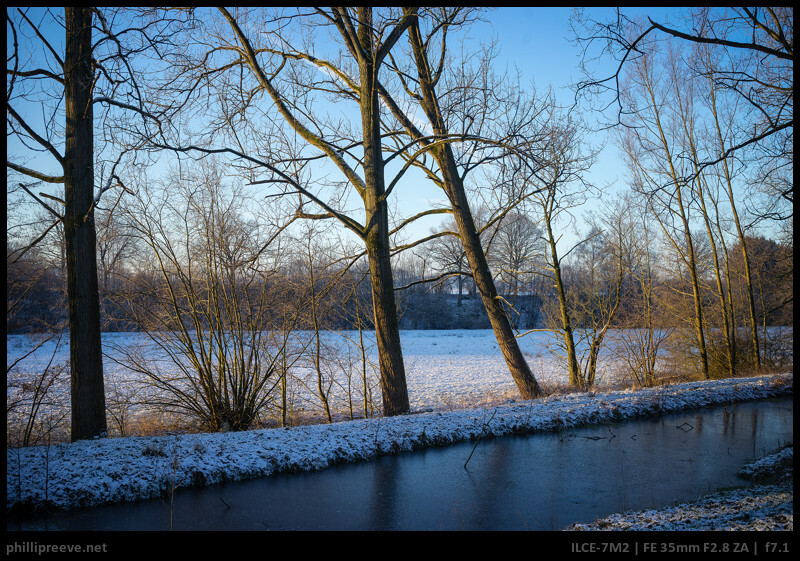 I was surprised- it AF’d pretty reliably with my Fotodiox on my ancient NEX-C3! Only real downsides are it has pretty strong vignetting on the wide end, and compared to these svelte little primes it’s a big honker of a lens. But it’s a workhorse. I use it for a lot…. covering events, indoor architecture, landscapes and general “out on vacation and shooting all of the above” photography. It’s a 1993 design too so I think it retains a good bit of that old school “pop” and charm; but objectively it holds its own with any modern lens. A class above all the slower 3rd party UWA zooms for sure. Something to consider! Currently my favorite wide angle lens on my sony a7 is an old prime Minolta Rokkor 17mm f4 which I use extensively in cave photography. Incidentally also the rest of my wide-angle collection is also Rokkors, i.e. 20mm, 21mm , 24mm, etc. Nice quick summary of a good set of lenses, very helpful reference. No review on the Olympus OM shown in the headline photo? very cool! how about a list of lenses at under $300 at some point? When I acquired the Sigma 12-24mm mentioned above, I also had the chance to jump on a Nikkor ultra-wide zoom from a brick & mortar dealer on eBay at a really budget friendly price, which I think may be a bit of a practical and versatile low cost sleeper in this category for some Sony users. I’m speaking of the Nikkor 18-35mm f.3.5-4.5 AF-D, which was well reviewed, as I take it, by the not always so reliable Ken Rockwell. His overview is thorough. Plusses include sharp central images at all focal lengths at very useful apertures (according to Ken), a class leading low weight of circa 13 ounces (! ), more than decent manual focus handling on my sample, and an honest to goodness old school aperture control ring. The latter means I can adapt the lens to K-mount easily, losing only auto-focus and, as is usual in these cases, the lens will require step down metering. Neither is too big a deal to me, as I won’t really be needing it to handle more than an 18mm to 22mm or so range when I choose to carry it for its low weight and convenience. One can overlook some limitations given the lens’s extraordinarily friendly carry weight, its straightforward handling and size; and especially, the low cost at which it can today be acquired. My copy is like new in all respects, and with assistance from a 2-day bonus enhancement of the Bonus Bucks ‘rebate’, it came in at under $210 net for me. It’s a pretty nice option to have to complement a 24-35mm prime lens in a lightweight, sensibly priced kit. The negatives are typical of its era — some resolution issues in the corners and waviness in the distortion characteristic. But I think Ken may be right about its mostly clear, modern rendering… something to consider given the well known limitations of vintage primes in the ultrawide FL range. Great comparison. One comment to the C/Y Distagon 28mm F2.8. The corner sharpness of my copy is perfect at F8. It’s a MM Version (Made in Japan) which is made about 1985. At F5.6 the corners are already very good. (Tested on my Sony A7) These behavior astonished me after reading your preview. So maybe you could review another copy of that great lense. Can you share some full resolution pictures with it? A very useful comparison. I was interested to see your comment on the decentering of your Ultron, Philip – I really enjoyed many aspects of the copy that I had, until I more rigorously tested for decentering, and then it became obvious in almost everything I shot. The Australasian agents gave me a full refund, but couldn’t replace it as they only other copies they had showed the same behavior. A great little lens, if only they could get on top of their quality control, which is so cruelly exposed by the high resolution sensor in the A7RII. I now shoot with a Loxia which is close to the Ultron, but lacks some of its character. Cosina also had some serious issues with the 4.5/15 III where most lenses did not perform as the better copies. The only way to deal with this is to buy from a source where it is easy to return the lens. Would be nice to see your impressions of the 28mm Otus + adapter compared to this list. Any chance Zeiss would loan you one to make an addendum? Here are a few more of my own favourites. I have found both very good, with the caveat of a strong, rather “sharp” vignette, which is hard to remove in Lightroom. Both the latest version. The weakness I find with the Minoltas especially is flare, but the colours are “delicious”. PS. My Summary on pg 6 #2 of above is probably the best place to start. So I saw your ratings of the Minolta lenses (not bad) and went long with the Minolta lenseswhich have much better mech feel (including buying a 24 f 2.8, 35 MD 1.8 and 28f2.0 (even bought the 20mmdespite poor rating because it was so cheap and like new), so I would have expected at least some of them to be included. 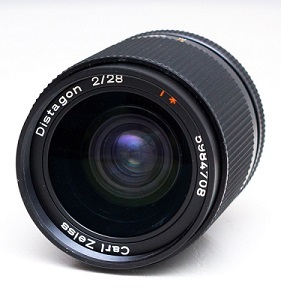 I would like to ask if you are planning on reviewin the original Zeiss 21mm f2.8 Distagon. The reason I am asking is because I am thinking on switching from my beloved D750 to the a7r II and I am between the Batis 18mm and the Loxia 21mm. I’ve read that the Sony + adapters don’t work very well with ultra wides… I was wondering if I should keep the 21 and go for the 18. I don’t think we will. By all accounts the Loxia 2.8/21 is a better performer, quite a bit smaller and you don’t have to worry about the adapter. Adapter thickness is totally critical with the Distagon. I know this lens is in some ways incompatible, but it works amazingly well, Sony 10-18mm f4 from 12 to 17mm it covers full frame and it very good to the extreme edge which is a big surprise, a bargain too. I was Surprised my joint favorite lens is not listed, Zeiss 35mm f1.4 ZM with Loxia 35mm F2 with legendary Biogon rendering. Another is the Leica 28mm f2.8 R Rom I bought this so that I did not need to lug another Otus around. The jury is out on the Loxia 21mm, I find it too sharp and does not render as beautifully as the classic 21mm f2.8. 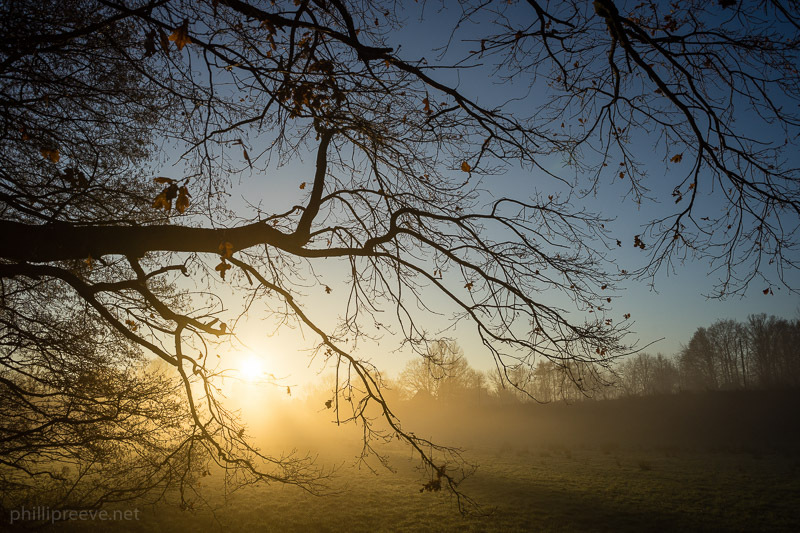 Zeiss 18mm f4 ZM fantastic rendering again but suffers lots of flare soft in the extreme corners. rectified with top quality UV filter. 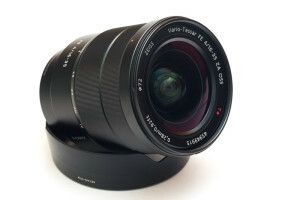 Zeiss 15mm F2.8 ZF.2 excellent, but to big for landscape use. Zeiss 25mm f2 Batis number 1 lens awsome replaced my Zeiss 25mm f2 swore I never sell it but Batis better everywhere. 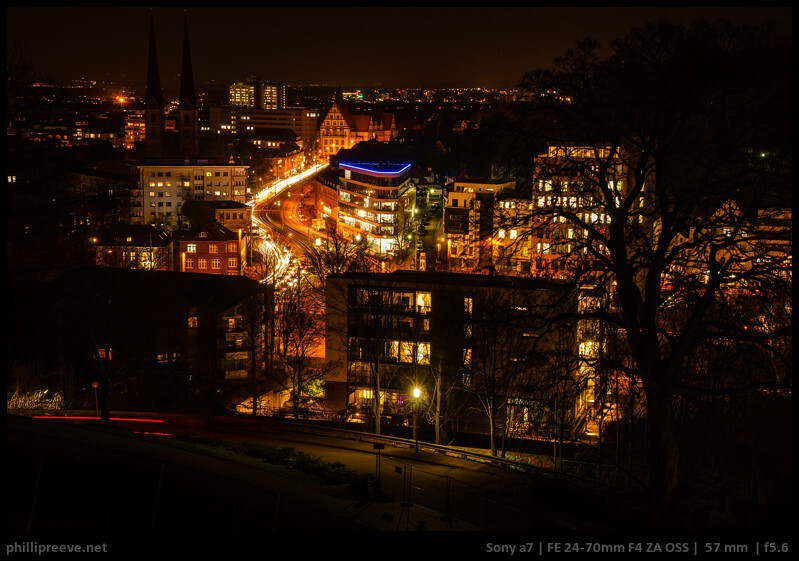 Sony 28mm f2 brilliant value for money. Hello Phillip. Your website is terrific! Very helpful. 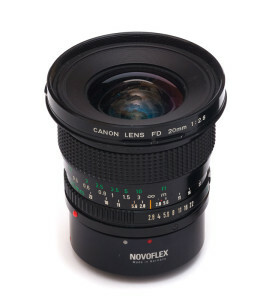 I just want to ask for your recommendation in the 24mm or below budget lenses(around $200). If I were to buy just one, which do you think would it be? Thank you. Thank you for your web site, which I enjoy immensely. It is over several months now since I began to visit your web site regularly. It is probably because there are quite a few photos you took that I find appealing to my love of nature/landscape photographs. 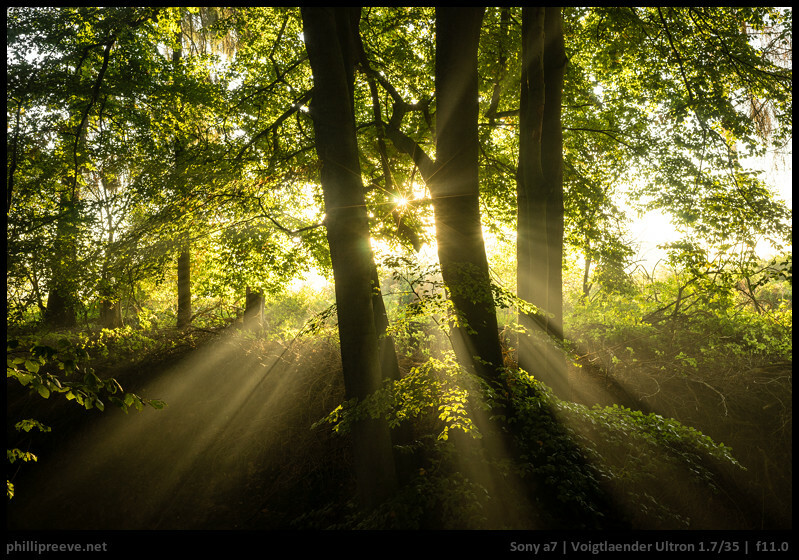 Since I took to film photography during my teens before auto focus cameras arrived, I could not forget the beauty and enjoyment of framing objects in manual focus, and I could not resist leaping into the bog of “manual focus lenses and Sony Alpha 7 series cameras” when I came across this web site. The way you review lenses, which simply sounds a personal hobby as well as a practical guide to many, is also heartwarming to me. I hope you keep your brilliant work. any experience with the old Sigma 24mm 2.8 Super Wide II macro? and thank you for the great work, this site is amazing! I have briefly used that lens on my Nikon DSLRs and even thought about including it here. Maybe the FD 24mm 2.8 is a better choice. 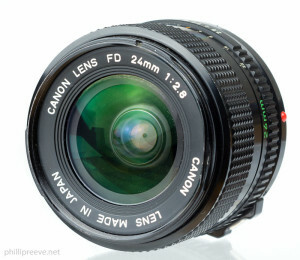 Optically it is one of the best classic 24mm lenses. I agree with what Bastian said about the mechanics though and would add not that great coatings. The 1:4 MAcro mode is nice though. In fact I also think that a big part of a lens appeal is related to the build quality/manual focusing experience. I have also high hopes for Laowa but their lenses are also far from cheap. Thanks for your reply Phillip! I may give it a try, the macro mode is indeed tempting. 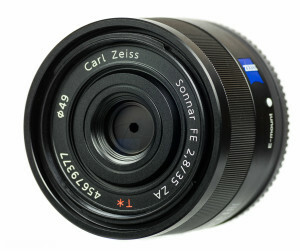 Does anybody know when Sony may release a wide angle zeiss quality prime lens in the 20-24mm FL range? It’s a lens that is missing in the Sony line of prime lenses. In A mount they have a Zeiss 24mm f2 though its performance is lackluster. I am expecting a similar one in FE mount and I hope it won’t be disappointing after all the great lenses Sony has offered in the E-mount. Well since there is the Batis 2/25 and the Loxia 2.8/21 aswell as the Firin 2/20 I wouldn’t expect that another 20mm is high on Sony’s priority list. But that is pure speculation. 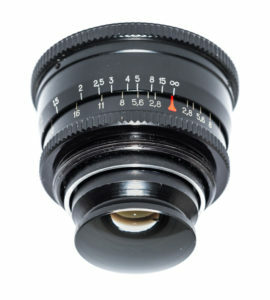 Not to forget the 0.75 wide converter for the 28mm 2.0. Great website, I really like your reviews and tests. Have you ever considered to do some review with modernish Canon lens? Some of them perform well on Dxo website, and easier and cheaper to by them used than Sony e mount lenses. It would be interesting to see how good they are compare with the sony, zeiss or old manual lens. 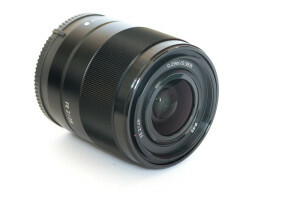 Older EF 24 mm f2.8 used is under £150. 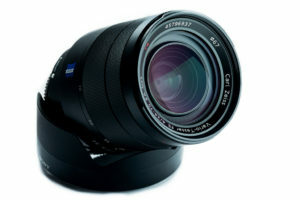 New 24mm f2.8 is usm is around £350. Dxo score is really good for usm. With Sigma Mc 11 could be a good alternative for Canon 24mm nFd, because now you can hardly find 24 nFd 2.8 under than £150. Do you have any experiance with modernish affordable Canon lens on sony e mount? Canon offers some really nice lenses for very fair prices. It is hard to argue with that. Personally I have tried the EF 2/135 and 4/16-35. Both very good lenses for a very fair price but I didn’t enjoy handling them. And since that is quite important to me I am nit too tempted by lenses like the EF 2.8/24 IS even if it offers very good bang for the buck. 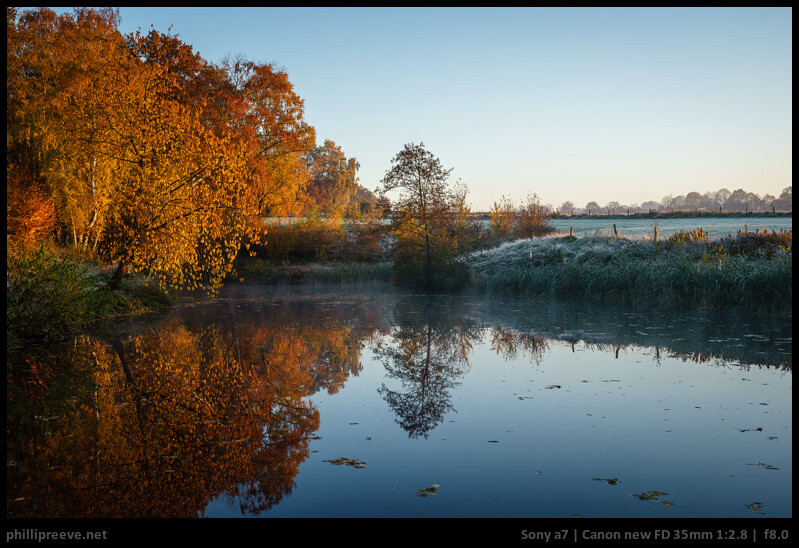 I was planning to go FF with Canon 6d but after reading a lot of your blog posts (thank you very much:-)), I really got into Sony a7 and as a really nice one was for sale on DSLR-forum.de I jumped the ship. With it came the 28-70mm which I plan to use for family events with children running around and have the Irix 15mm 2.4 EF with with commlite adapter for astrolandscape. Any thoughts on my “suspects” or any other candidate you see fit, would be greatly appreciated. I haven’t used any of your candidates. I am not a fan of Samyang lenses in general but maybe the 2.8/35 AF fits the bill? 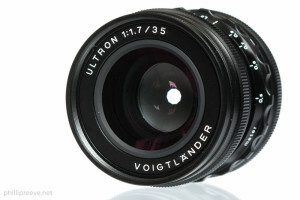 one more Q, any thoughts on Voigtlander Ultron 40mm f2 asph for ef mount? The NIKKOR Ai-s 2.8/24 works quite well adapted to Sony A7II & A6500. It also uses the 52mm filter, same as my Loxia lenses (2/35 & 2/50), so I don’t need to buy multiple expensive filters such as CPLs. Than k you for your educational articles–hooah! thanks so much for your & your friend’s amazing blogs! 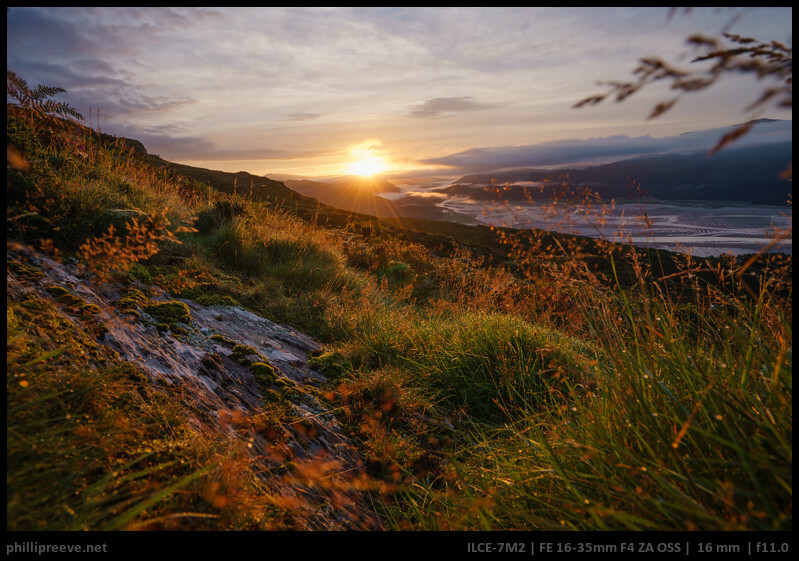 Did you have a look at the Zuiko OM 1:3.5 / 24mm shift? I just came back from a trip to provence and I had used this lens for almost 80% of my shots! I bought it after having used a Schneider 35mm PA Curtagon for a while and I must say the Zuiko shift is such a phenomenal lens and fun item to use. Not only for architecture, but also (if you shift downward) for a dramatic foreground! 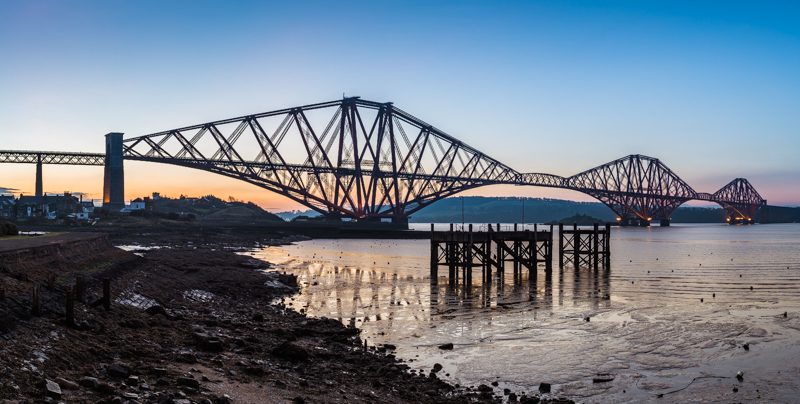 On a stand I shift upwards, take a left shift, middle, and right shift image, then shift down and take another 3 pics as above.These 6 shots can then be combined into a panorama stich without having moved the camera on the stand at all…. I just upgraded to a Sony Alpha 7r iii from my EOS 5D ii which I loved over so many years and after your notes I just ordered the Voigtlander 1:2/ 65 Apo Macro. I love manual focus and I am not a big fan of zoom lenses as – besides limited image quality- they limit your ability to explore new “insights”. Best, and keep going with your great work! I haven’t. Mind sharing some higher resolution samples? Should be a pretty useful lens. Yes I will share a few samples but cannot before next week. Where / how do I share them? I use flickr to share large images. Thanks – I’ll go on Flickr then! Just checked Flickr. Honestly – too much control over my data, spying of browsing behaviours, anticipated adverts and other spying & spamming I need to agree to in order to use the Flickr account shocking! I think they had to disclose this mess only because of the recengly enforced data protection laws. Shall I mail you a dropbox link where you can get some examples? Happy for you to use & post them here. finally I got away with the personalisation settings in Flickr. Here is a link if you want to check out some pics taken with the EOS 5D ii, new pics with the adaptation to my new Sony a7r iii will follow. 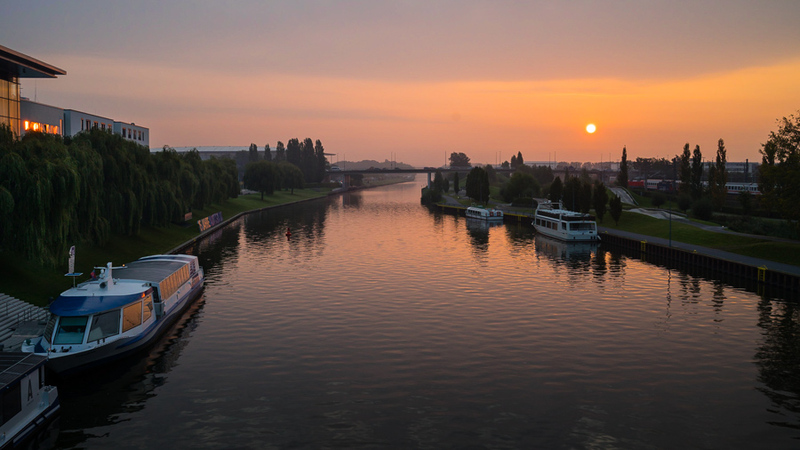 A few more pics with the OM Zuiko 3.5 / 24 mm Shift lens – now on the Alpha 7r iii. Note that I had to compress the pics a bit more in order to be accepted by Flickr. Otherwise non-touched original JPEG photos. Note the CA, esp. in the upper part of the church portal pic. Yet another great article. Very informative. Thanks! Do you happen to know of a 28 or better a 24mm lens with a faster aperture than 2.0?? 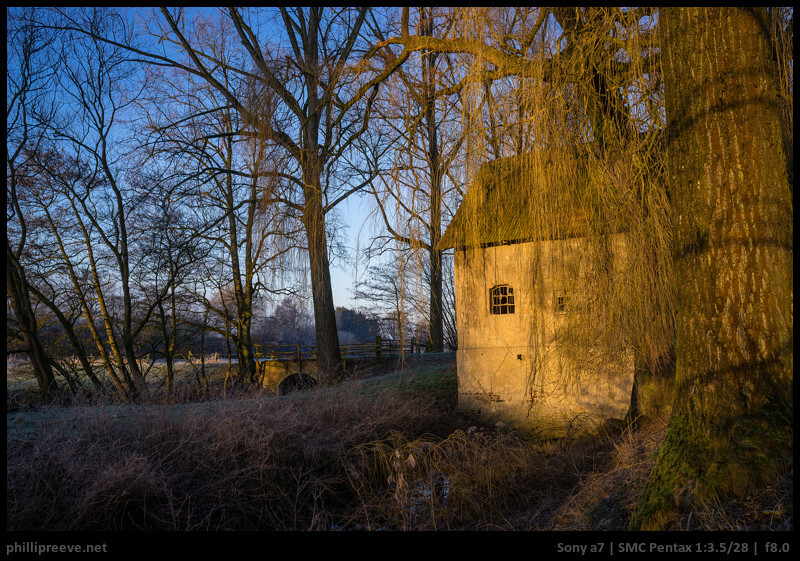 You will have a hard time finding anything better than the Sony FE 24mm 1.4 GM. There are also some alternatives listed.